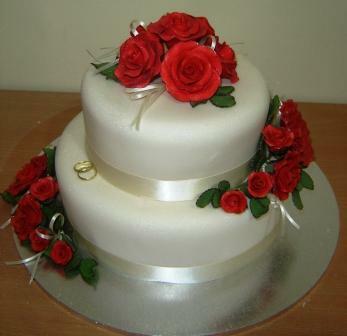 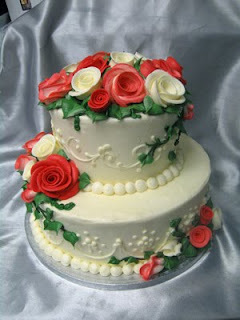 Wonderful two tiered round wedding cakes with red roses for accents. 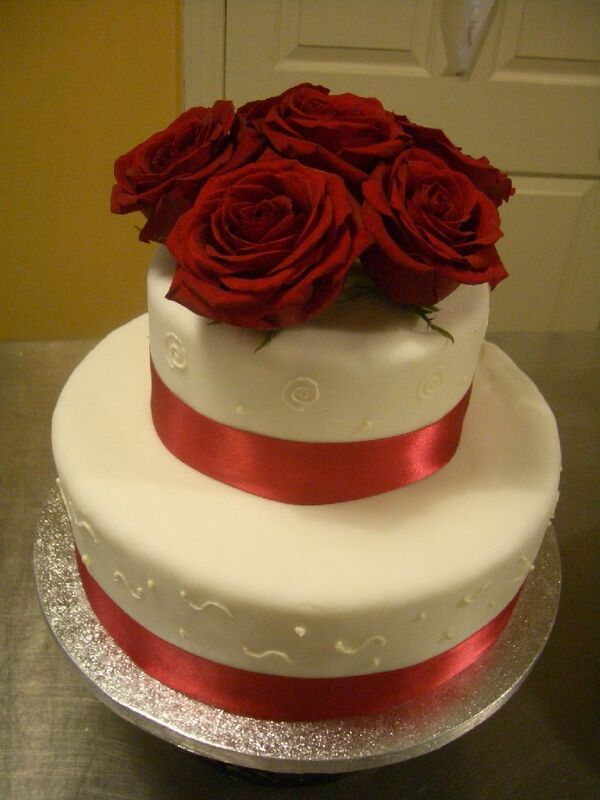 Pinkish red and white sugar roses on a two tier wedding cake. 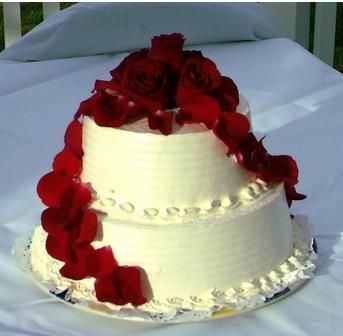 White round two tiered cake with fresh roses and rose petals. 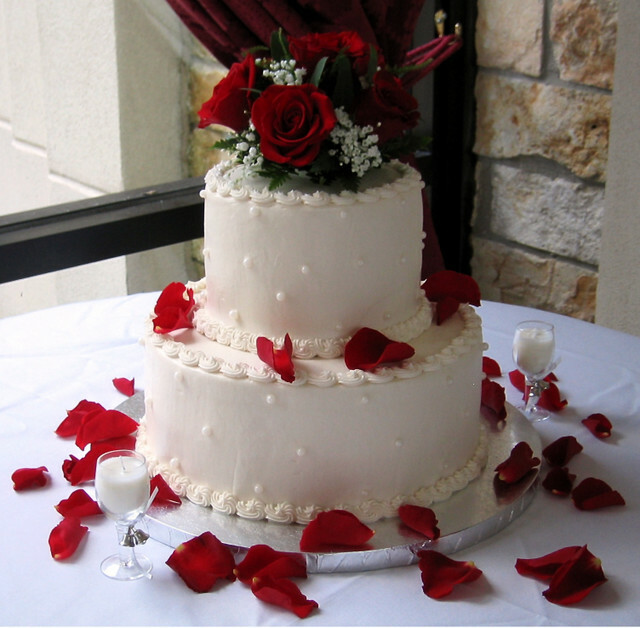 Stacked rounds with edible pearls and fresh red roses and petals. Red roses and white lace wedding cake. Round two tiered wedding cake with red lace and topped with red roses. Quilted bottom tier and red roses on the top tier.